2018-19 Professional Learning Online Catalog Live! 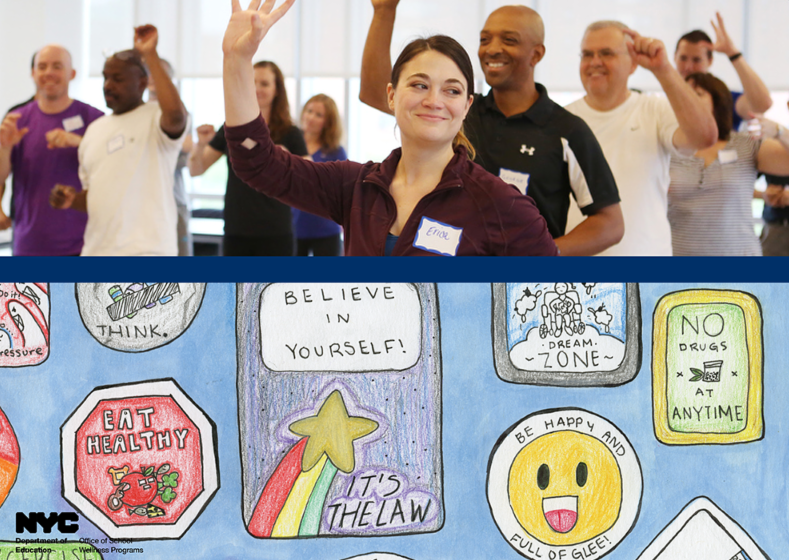 Only two weeks into the school year, we are excited to introduce the 2018-19 Office of School Wellness Programs Professional Learning catalog, which contains a new and expanded range of professional learning opportunities for educators and advocates. We designed this year’s workshops to give teachers, teacher-leaders, school staff, and School Wellness Council members targeted training on the skills needed to provide standards-based, comprehensive, inclusive health education, physical education, and physical activity programs to all students. In support of the Mayoral PE Works and Health Ed Works initiatives, this year’s catalog includes a series of robust sessions to train both new and experienced health and physical education teachers across the five boroughs in delivering high-quality instruction that supports our students’ academic success. Professional Learning Pathways: A recommended sequence of trainings for physical and health education teachers, designed to build subject expertise and leadership skills. Teacher Leadership Pathway: Goes beyond the Professional Learning Pathways for teachers to develop the skills necessary to be teacher-leaders in their school communities. Trainings using the first-ever NYC Physical Education and Health Education Scope and Sequences: Our teacher basic workshops incorporate new Scope and Sequence documents that will be available on WeTeachNYC (stay tuned for details and links later this fall!). PE and Health Education Coaching: Teachers can register for one-on-one support with an experienced instructional coach to develop customized instructional strategies and goals. PE Coaching cycles, see below; HE Coaching cycles will be available soon. Visit the catalog regularly for updated opportunities and offerings, and email wellnesspd@schools.nyc.gov with questions. Apply now for our 2018-19 PE Coaching sessions to work one-on-one with a PE Instructional Coach from the Office of School Wellness Programs. Collaborate with a coach in person to develop custom instructional strategies and goals that have a direct impact on student engagement and learning, your classroom environment, and your ability to integrate new activities and units. Coaches personalize support for your needs, the unique elements of your PE program, and your school environment. Over 200 teachers have received personalized support to benefit their instruction and student learning. Questions? Email PEWorks@schools.nyc.gov. October 1: Being Upstanders for LGBTQ Youth – An OUT for Safe Schools Webinar Grades K-12 staff, register for this 75-minute webinar to learn more about building safer, more affirming schools for LGBTQ students. Participants will be able to order free OUT for Safe Schools badges for their school following the webinar. October 30-31 Workshop: Cultivating Awareness of Racial Microaggressions in the Health Education Classroom. Grades K-12 health educators, register for a two-day training in Manhattan led by Access Matters to learn about ways in which racial bias appears in the health education classroom and how to recognize racial microaggressions, undergo a self-reflective process, and identify and practice strategies for reducing microaggressions in your classroom. 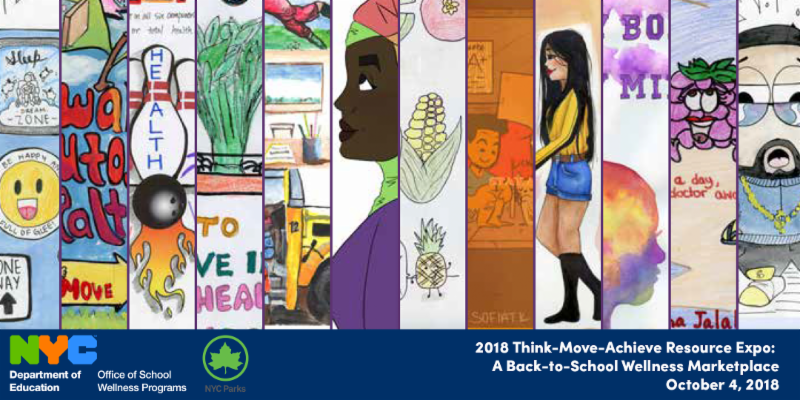 The NYC Department of Health and Mental Hygiene’s (DOHMH) Active Design in Schools Unit is working with arts organizations to lead a participatory, youth-inspired process to design and install interactive wall and ground murals in NYC public schools. All NYC K-12 public schools are encouraged to apply to work with pre-selected arts organizations in Spring 2019 to develop a wall or ground mural at your school to use for future physical activity and PE programming. Costs will be covered by DOHMH and its partners. See details and apply here by midnight on 10/19. For more ideas on how to promote physical activity and healthy living in your school community, see the Active Design Toolkit for Schools. incentives for your students as they reach milestones. The Tisch Food Center wants to shine a spotlight on food and nutrition educators throughout the City. Nominate yourself or an educator you know who is encouraging school gardens; discovering new ways for students to enjoy wholesome foods; leading students to understand the role that family and factory farms play in the food system; or advocating for healthier food for their students, their families, and the community. Follow #IamFoodEdNYC on social media to see if your nomination is highlighted...it could be you! Join Green Beetz for a professional learning course focused on systems thinking in the classroom through the lens of their middle school-focused, food-and-environment curriculum. Course combines online and in-person learning and runs October 8, 2018 - January 11, 2019. Register by 10/7 through the DOE’s After School Professional Development Program (ASPDP): log in and search the course name, “How to Facilitate Systems Thinking in Your Classroom through Green Beetz.” Earn 1 P Credit (12 hours of CTLE). For more information, to view the syllabus, and to register, visit the ASPDP course catalog. Questions? Email Kira Cohen-Milo, kcohenmilo@greenbeetz.org. Herb Garden Grant for Elementary School Grades 3-6: Apply to win $300 in "seed money" from the Herb Society of America to establish an indoor or outdoor herb garden for your grade 3-6 classes. Funds may be used for supplies such as soil, plant trays, containers, child or youth-sized tools. Deadline is 10/1; application and more information here.